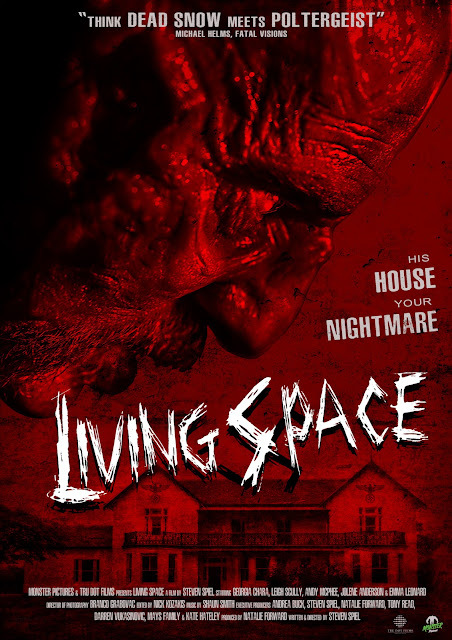 Check out the trailer and the details for Living Space. If you are in Sydney, Australia you can check out the World Premiere! A romantic holiday takes a sinister turn when Brad & Ashley’s car breaks down in the German countryside. Forced to take refuge in an isolated farmhouse they thought to be abandoned, the couple quickly learn that the house holds a dark past. Thrust into a supernatural nightmare, the pair must battle malevolent forces lead by an undead Nazi general if they wish to survive the night. Writer/director Steven Spiel explains that LIVING SPACE was solely written to entertain audiences. “I knew exactly what I wanted to achieve by creating this film. I was wanting to excite the audience from the very start. I wanted to send the audience on a rollercoaster ride of different emotions to ensure that people could escape their daily lives even if just for 80 minutes. 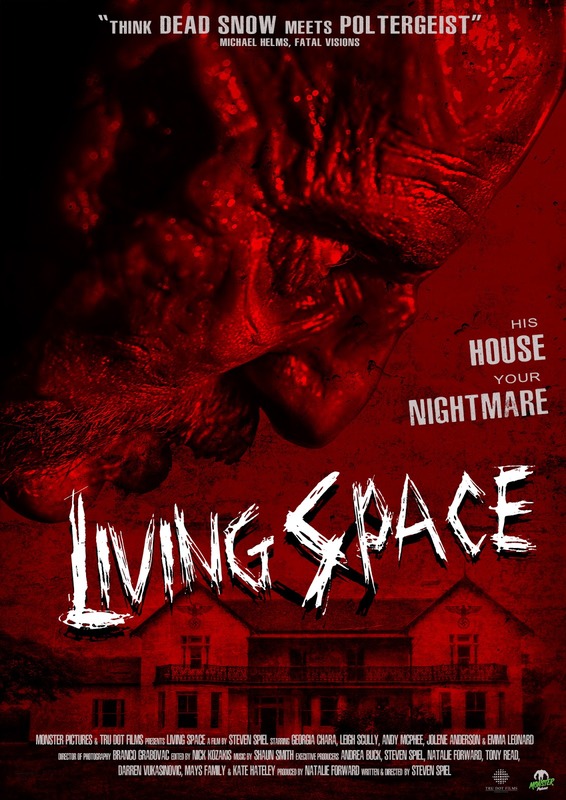 LIVING SPACE is a horror/thriller based on an ideology but not rooted in reality. I feel it’s perfect for someone new to horror as well as seasoned fans ." Don't miss the world premiere of LIVING SPACE March 10th at Event Cinemas George Street, Sydney! Filmmakers Steven Spiel (writer/director), Natalie Forward (producer) & Branco Grabovac (cinematographer) will be in attendance at the screenings along with select cast & crew to field a post-film Q&A. Filmmaker Q&A with writer/director Steven Spiel, producer Natalie Forward, cinematographer Branco Grabovac and actors Leigh Scully & Georgia Chara.